Nestled on the famed coast of Elounda and just moments form the charming village of Plaka sits the spectacular Blue Palace which boasts views of Crete’s coastline from almost every angle. A stylish, sophisticated resorts, the Blue Palace provides the perfect hideaway for couples of families seeking high quality and excellent service. Each of its 250 Rooms & Suites march the beauty of its surroundings with tastefully designed décor with a range of luxurious amenities. Many of the rooms boast private, fully furnished balconies, verandas or patios and there is an array of accommodation options that include a private pool. Foodies won’t be disappointed with five restaurants to choose from including local Greek specialties. The Resorts three outdoor swimming pools, award-winning Elounda Spa and private beach means there is plenty to avail yourself with. 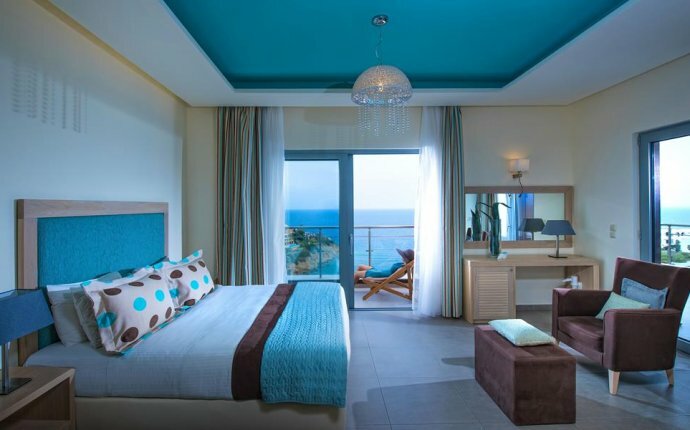 Nestled on the famed coast of Elounda on the island of Crete, Blue Palace Resort & Spa has breathtaking views of the bay and the famous island of Spinalonga. The small village of Plaka is a 5-minute walk from the resort. For families, we recommend the Deluxe Suites Sea View with Private Pool that can sleep 2 adults and 2 children comfortable while enjoying the luxury of your own private pool. There are five restaurants and three bars and loungers to take advantage of. We recommend pre-booking half board so you can indulge the award-winning dining each night. Based on 2 adults sharing on Bed & Breakfast, return flights, private transfers and the use of a UK airport lounge. The spa here is a real treat with 25 treatment rooms and a variety of treatments on offer, including Thalassotherapy. The beachfront setting is to die for and can be enjoyed be one of the three expansive pools. Although a pebbly beach, the stones are large and the beach has walkways and sun loungers.